Hilary Hinton “Zig” Ziglar is an American author, salesman, and motivational speaker. He has published over 48 works, including the 2007 book titled God’s Way Is Still the Best Way. Ziglar served in the Navy during World War II. He was in the Navy V-12 Navy College Training Program, attending the University of South Carolina. Ziglar later worked as a salesman in a succession of companies. In 1968 he became a vice president and training director for the Automotive Performance company, moving to Dallas,Texas. 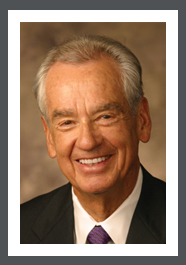 In 1970 Ziglar went into the business of motivational speaking full-time, with an emphasis on Christian values. Ziglar strives to be the difference-maker in people’s personal, family and professional success. By doing so, Ziglar hopes to make a positive difference in America and the world. Based on the principles of founder, Zig Ziglar, the Ziglar Way conveys powerful life improvement messages that transcend barriers of age, culture and occupation. Delivered through personal development training and corporate training programs, the Ziglar Way has impacted more than a quarter of a billion lives. As a best-selling author, Zig Ziglar has written more than 29 sales and motivational books, 10 of which have appeared on best-seller lists and have been translated into more than 36 different languages and dialects worldwide. He’s been featured in numerous publications including the New York Times, the Washington Post, Fortune Magazine, the Dallas Morning News, Success Magazine, and Esquire Magazine. Ziglar motivational books and programs are widely distributed through multiple channels including the Ziglar website, Amazon.com, and the world’s largest producer of audio programs, Nightingale-Conant. In the media Ziglar has appeared on such venues as the Today Show, 20/20, the Phil Donahue Show and 60 minutes. As a speaker, Zig has repeatedly appeared with six former U.S. presidents; world leaders and news makers like Rudy Giuliani, Generals Colin Powell and Norman Schwarzkopf, and Lady Margaret Thatcher; business leaders, famous speakers and authors such as Seth Godin, Debi Fields, Tom Hopkins, Brian Tracy, Dr. Norman Vincent Peale, and Denis Waitley; and countless sports and Hollywood celebrities such as Paul Harvey and Joe Montana. At 84, Zig is still speaking while sharing the stage with his daughter, Julie Ziglar Norman. Together they reach audiences up to 20,000 at Get Motivated seminars as well as sharing messages of hope at smaller venues such as The Legacy at Willow Bend.